This slide shows the common and core form of all types (genres) of technological knowledge. It offers a point for classroom and staff room discussion. Can we claim to have knowledge of any Technology if our knowledge does not "at the very least" always include this form in its development or use?" Have a discussion and see what it evokes? 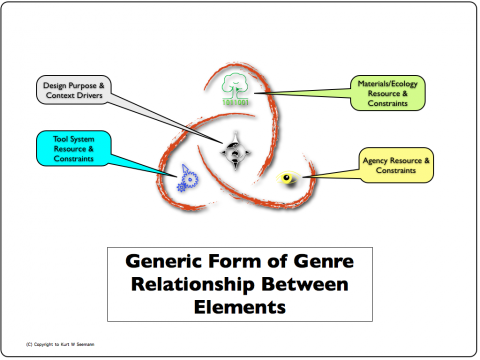 How might technology genre theory assist a learner to plan forward a design project, or indeed to reconstruct a technology?